I feel like my inks were really starting to come together during this sequence. I like almost everything on this page. The inks in panel 4 and 5 are especially tasty. 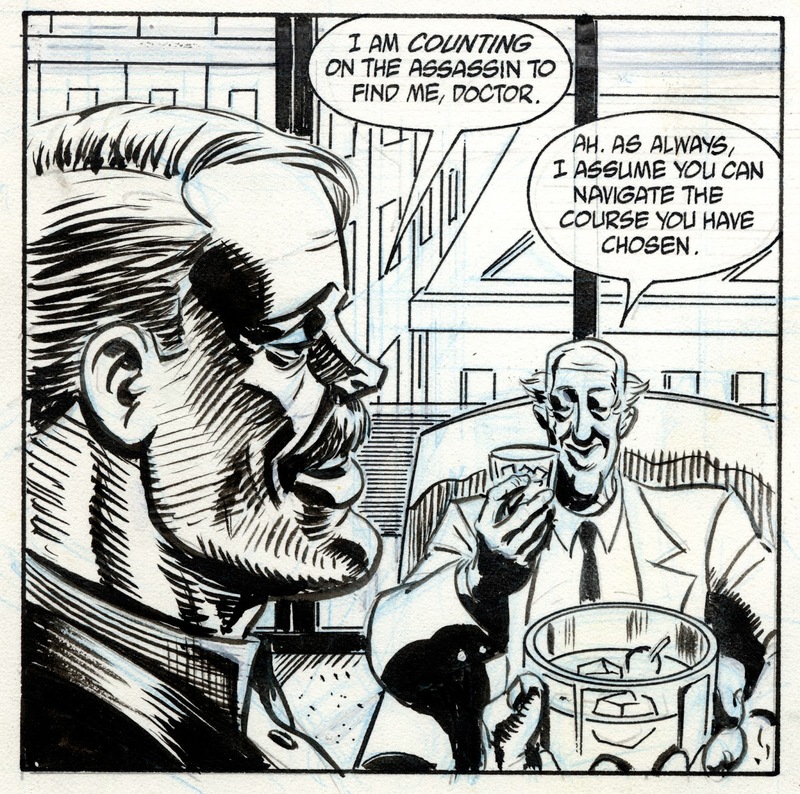 The close-up in panel 2 makes me cringe though, more for the drawing than the inking. Helda’s eyes seem too close together, and don’t look like Glenda Jackson’s. I can see from the white out that I made at least two tries at it. It still looks amateurish, especially when compared with the rest of the page. But panels four and five make up for it. 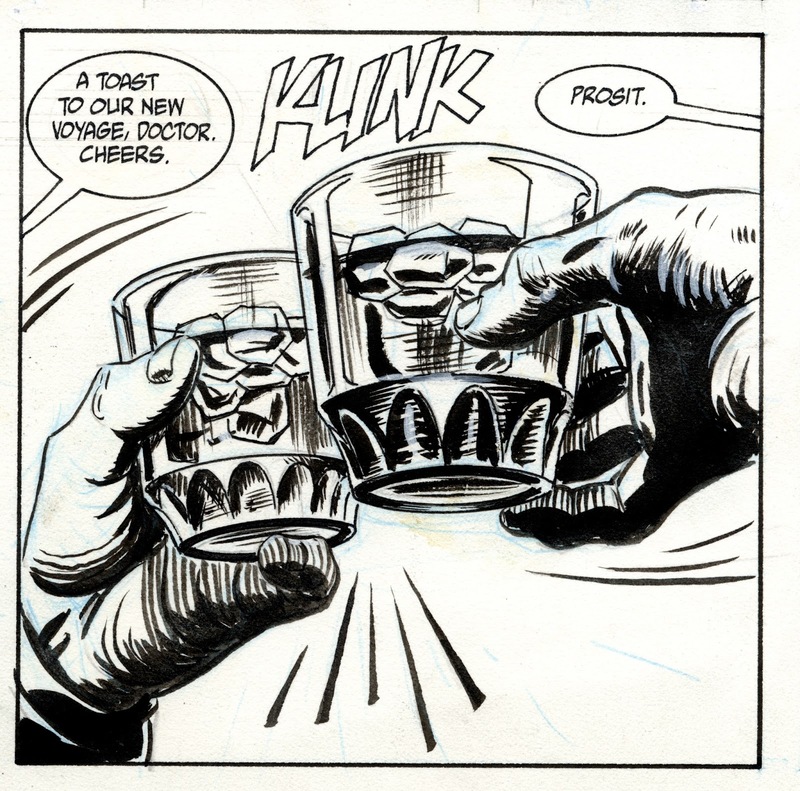 I especially like the rendering on the hands holding the whiskey glasses in panel 5; it’s almost painterly. 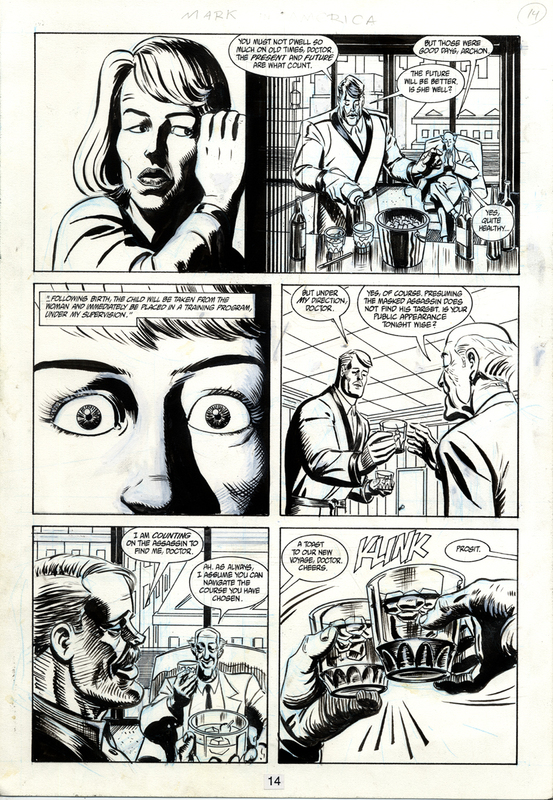 This is page 14 for "The Mark" issue 2, volume 2, otherwise known as "The Mark In America", published by Dark Horse Comics in January 1994. Written by Mike Barr, drawn by Brad Rader.